KABUL, Afghanistan (AP) — A suicide bomber struck in Afghanistan’s eastern city of Jalalabad on Sunday, killing at least 18 people in the second attack in as many days targeting Taliban fighters, security forces and civilians celebrating a holiday cease-fire. Najibullah Kamawal, director of the provincial health department, said another 49 people were wounded in the attack, which struck a crowd of people as they left the governor’s compound. 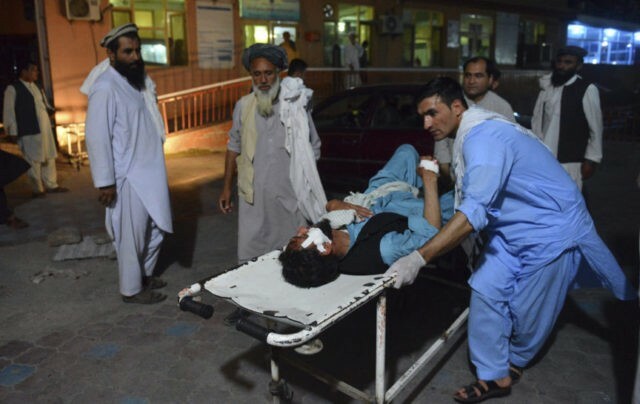 Saturday’s attack, which also took place in Jalalabad, killed at least 36 people and wounded 65, according to Kamawal, director of the provincial health department. “We hope that the extension of the cease-fire will be announced by the leadership of the Taliban,” Mohammad Karim Khalili told a press conference in the capital, Kabul. He said there had been an “exchange of views” between the government and the Taliban over the past week, without elaborating.